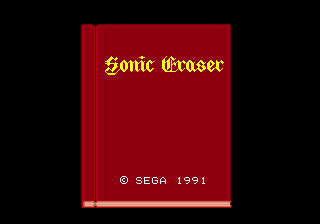 This is one of many Genesis games that were recently released for online play only in Japan by Sega using their online buy and play Emulator service; this game, among others, was recently dumped by Sonic Cult. 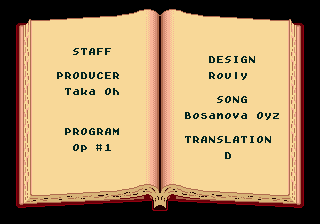 Surprisingly, this isn’t a Columns or Puyo Puyo clone! 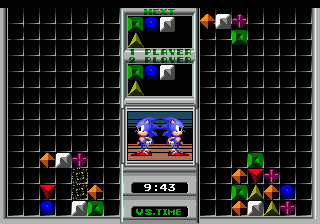 You earn points by joining two tiles that have the same design. 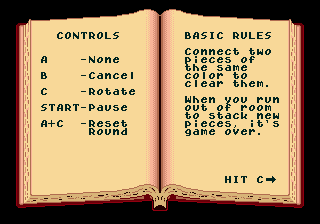 And you move them around using the pad and the buttons. And that’s it. There isn’t much in the game department. This patch is in NINJA format only. NINJA is superior to IPS. It can be downloaded here. 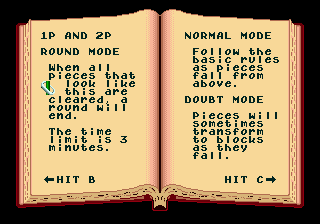 Well, D did a great job on this translation… there wasn’t much to do anyway, just the instructions that appear in the game before starting a match. At least they mamage to make the game much more entertaining. By a bit.